After Friday night’s attack in Paris by Muslim jihadis, French military airstrikes hit ISIS targets in Syria, yet left the jihadi network inside of France intact. 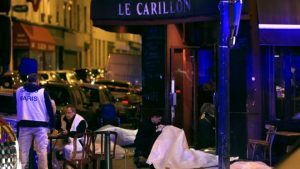 For approximately 40 minutes on Friday night, beginning at 9:20 PM local time in Paris, eight (8) Muslim jihadis conducted numerous assaults across the city. 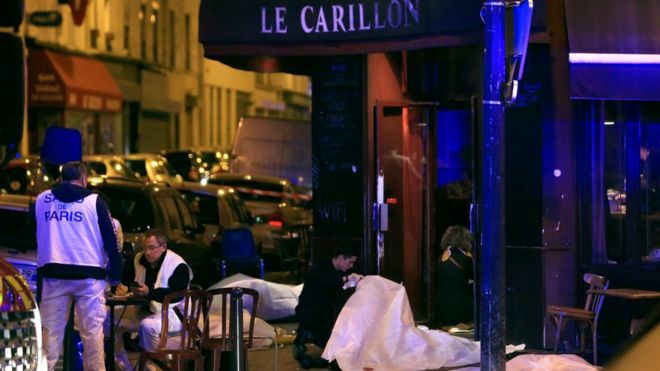 Explosions at the Stadium of France detonated during a soccer game; and Gunmen fired on two restaurants at Le Petit Cambodge, a bar at Le Bonne Biere, a restaurant at Le Belle Equipe, and at a concert hall at Bataclan. 129 people were killed, and 352 were wounded. Seven of the eight jihadis were killed, and one of them, Abdeslam Salah, is still at large. France’s response was to strike ISIS targets outside of its own borders instead of destroying the massive and imminent Islamic threat inside of France. There are at least forty-seven (47) mosques within a ten (10) mile radius of downtown Paris, which teach the jihad is an obligation for all Muslims until Sharia is the law of the land and the global Islamic State (Caliphate) is established. The Union of Islamic Organizations in France (UIOF) has significant influence in France, and it’s voice is heard by French leaders. The UIOF is a Muslim Brotherhood organizations whose stated objective is to destroy all un-Islamic governments and replace them with Islamic rule. France, like many European nations, is being inundated with Muslims from numerous hostile countries (“refugees”) who openly state they have no loyalty to France nor it’s laws, and who support the implementation of Sharia and the establishment of the Caliphate. The airstrikes by the French military reportedly hit a command post, a jihadi recruiting center, a munition depot, and a jihadi training camp in Syria. The French military has not destroyed any such Islamic targets in France – yet those targets exist. The German Interior Minister, Thomas de Maiziere, said “But I make the urgent plea, as interior minister and as a responsible politician of this country, that there shouldn’t be any hasty links made to the refugee debate.” Germany’s leader Angela Merkel said she was “deeply shocked” by the attacks in Paris. One has to ask what level of delusion these leaders live under. The global Islamic Movement has made very clear the reason for doing what it is doing (fighting jihad to establish a caliphate under Sharia), and the authority with which they do it (Islamic Doctrine). 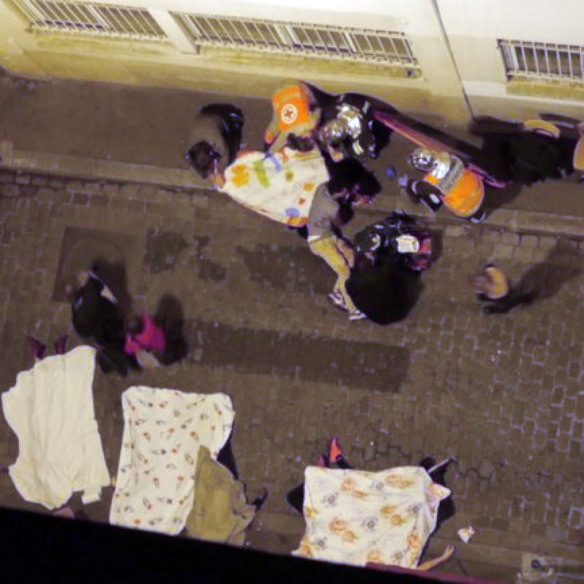 What exactly is shocking about what happened in Paris when viewed through the lens of Sharia? Nothing. A small glimmer of light may be seen in recent comments by Bernard Cazeneuve, the French Interior Minister, who has just called for the dissolution of “mosques where hate is preached” in France. For anyone paying attention, this is still just the tip of the iceberg plowing over Europe. The Europeans are giving the jihadis all the rope they (jihadis) need with which to hang them (Europeans). OPINION – France has the largest number of Muslims in Europe due mainly to an influx over the years of its’ former colonials from West Africa, Tunisia, Morocco and Algiers, (nearing 10 percent among a national population of over sixty-seven million); Paris has been an ever expanding “infidel” no-go zone for years. Its not delusion they “live under”, though; its the three tiers of personal security the apathetic moral cowards enjoy, to the outrageous detriment of public safety.